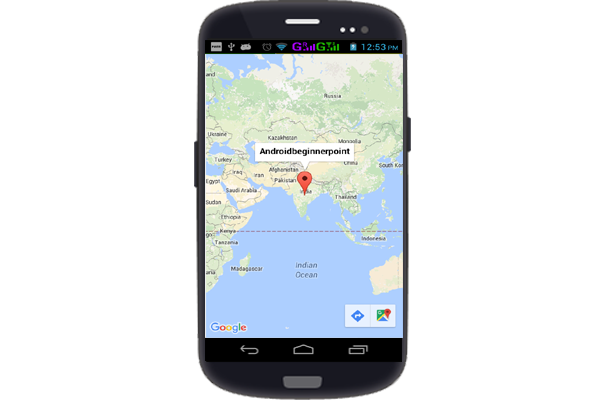 In this tutorial we will implement Google Map with Google Map API in android. so,explain Step by Step. Step .1:- Frist ,you can register you android project on Google Developer Console get the api key.the api key get via SHA-1 fingerprint. Step 2:-Open Google Developer Console link. Step 3:- Add Map Key in Manifest Class. Step 4:- Then google maps are implement MapFragment which is subclass of Fragment. open your activity_main and add this fragment in Layout. Step 5:- then, implement some code in MainActivity.java class.